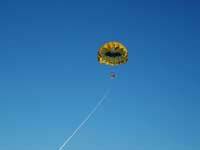 Parasailing with Englewood Beach will be the ”Highlight” of your trip. The crystal clear waters off of Englewood Beach will be the starting point for your aerial adventure, culminating in an unbelievable view high above the tranquil waters of Manasota Key. You will float effortlessly from our parasail canopy as you soar along with the gulls and frigates, peering down into the water, perhaps spotting some of our resident dolphins and manatees. From your lofty perch, you will be able to take in the fabulous view of Englewood Beach, Boca Grande and Manasota Key. The Intracoastal Waterway meanders throughout this backdrop, providing you with an unparalleled visual experience. 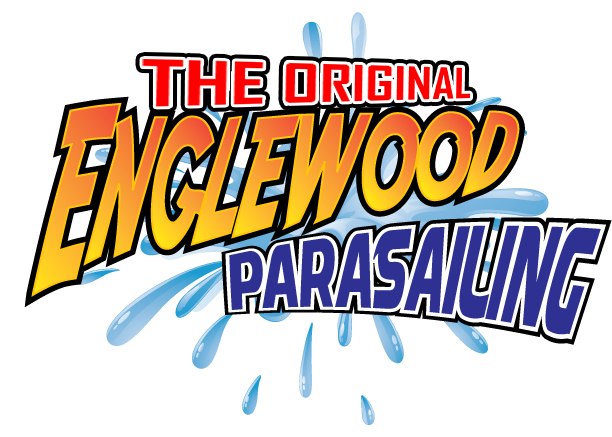 Englewood Beach Parasailing utilizes the newest technology and systems to provide anyone with a safe, soft, controlled parasailing experience. Our state of the art vessel is built solely for your parasailing enjoyment. Up to 6 people can go out on the boat for the excursion. 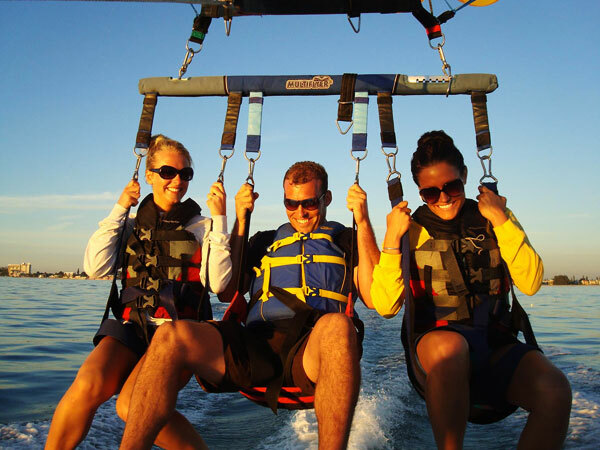 You and up to two of your friends or family members can ride in the parasail together and share the moment–from a seated position on the back deck you will feel the boat pull away as you almost imperceptibly lift up into the air. The Kevlar towline is reeled out from a winch so smoothly that it feels as if the boat simply leaves you while your view becomes increasingly more beautiful as you climb higher and higher, leaving the gravity-bound world below.